Constitution Day (or Citizenship Day) is an American federal holiday that recognizes the ratification of the United States Constitution, and also recognizes all who have become citizens due to either coming of age or naturalization. It is observed on September 17, the day the U.S. Constitutional Convention signed the Constitution in 1787. The law establishing the holiday was created in 2004 with the passage of an amendment by Senator Robert Byrd to the Omnibus spending bill of 2004. Before this law was enacted, the holiday was known as "Citizenship Day". In addition to renaming the holiday "Constitution Day and Citizenship Day," the act mandates that all publicly funded educational institutions provide educational programming on the history of the American Constitution on that day. In May 2005, the United States Department of Education announced the enactment of this law and that it would apply to any school receiving federal funds of any kind. This holiday is not observed by granting time off work for federal employees. When Constitution Day falls on a weekend or on another holiday, schools and other institutions observe the holiday on an adjacent weekday. This was the case in 2005, when Constitution Day was generally observed on Friday, September 16 and 2006 when the holiday was observed on Monday, September 18. A guy (or even a country) could be forgiven for not remembering the creation or past celebration of this sort-of holiday. After all, a well-known dangerous man is said to have characterized the Constitution differently: "It's just a goddamned piece of paper!" It sure has been treated that way. So Ellen Taylor has assembled an array of rabble-rousers to speak at the Humboldt County Courthouse in Eureka Wednesday at noon+15. This will be my first public speaking event in several months, likely since I very quietly took my leave of absence from the Voter Confidence Committee (VCC). It was a sabbatical, and it is now ending. I've been talking with members of the group over the past several days and next weekend will attend my first VCC meeting in five or six months. It is not a done deal, but the odds look good for a shift in the group's emphasis over the next seven weeks. Tomorrow I'll be speaking about what I'd like to see happen, whether with the VCC or not, and not just here but everywhere citizens are organizing for election integrity. Frankly, it will not be much of a new message, just a different presentation based on timing. What follows is basically a stream of consciousness outline preview... It is well understood that federal "election" results are unprovable... Nothing that can be done here in Humboldt or in any other single given location can make federal "election" results provable... 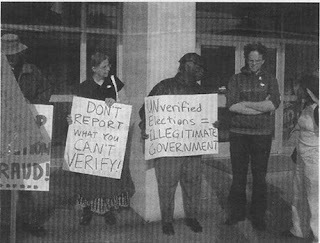 The government and media will tell us the results and expect us to accept them, which is exactly what we should not do... We need not and should not wait until after the "election" event to make our opposition known to accepting unprovable results (the objection is not to any particular result, but rather the claim that any result is even knowable)... In towns across the country, we need swelling groups of citizens to appeal to anyone claiming to represent the People, starting at the most local level, city councils on up, asking for a commitment to reject unprovable federal "election" results... 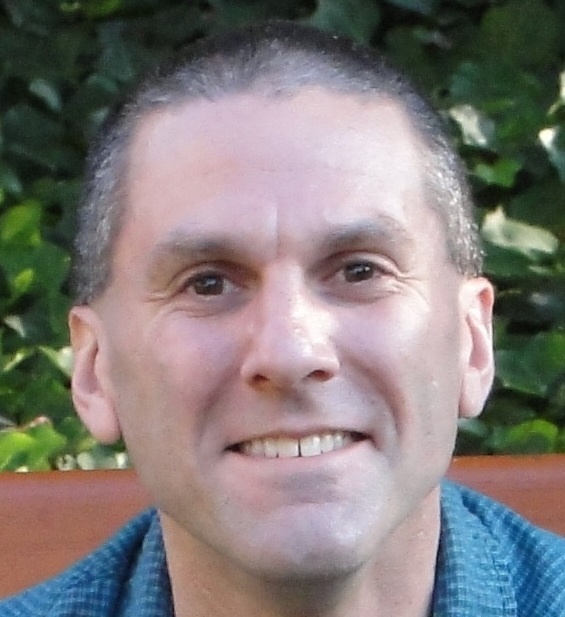 The requested commitment may need to be conditional in some cases, going beyond the premise of secret vote counting necessarily producing unprovable results, spelling out familiar scenarios expected to repeat (electronic voting machines switching or losing votes, counting backwards, showing more votes than registered voters, etc.)... A further potential condition should be expressed, namely the twin prospects of the "election" being canceled, or a subsequent refusal to allow an orderly succession of power... Some may not be willing to commit to standing up against unprovable "election" results, but would finally make their stand if the Bush regime will not yield power... This scenario is not guaranteed to happen, of course, but at the same time nobody can credibly argue about anything at all by saying "they'd never do THAT"... So in one way or another we are looking for buy-in from the People and our representatives (sic), amplifying two messages... First, that WE DO NOT CONSENT to "election" results that can't be proven, and which attempt to assume our consent and take it for granted; but also... We must stand up to the media and insist they do not report as fact what can't even be proven, a sentiment repeatedly expressed here at WDNC for more than two years, as shown below in a June 2006 Humboldt Advocate article I called at the time "Best Election Protest Signs Ever."